Celebrate with Blue Bunny & Save! 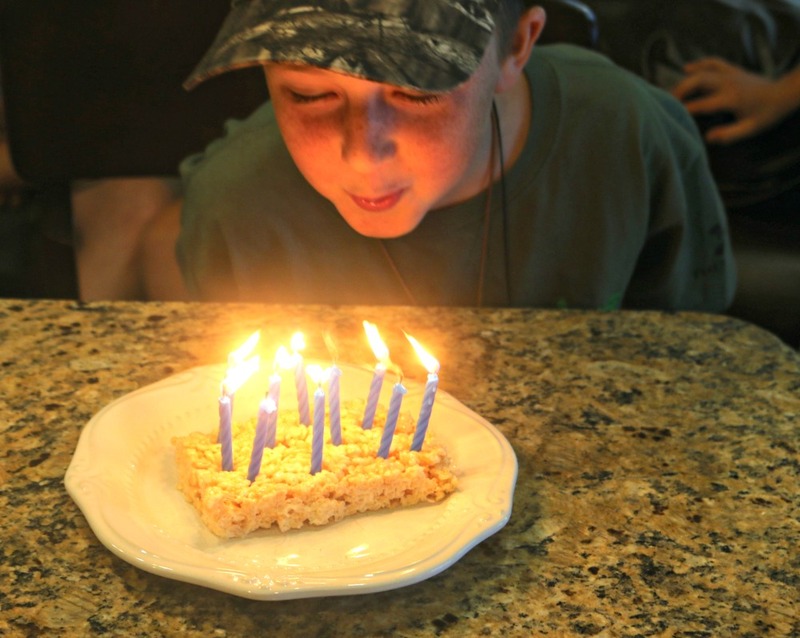 This week we celebrated my son’s 12th birthday, it is so hard to believe I have a 7th grader. So much has happened in his life, it is beautiful to see him smile and celebrate with our family. He has had to wait a couple of weeks before everyone was back from vacation to have his water balloon birthday. He could not wait another moment! Once everyone arrived my mother started up the grill and we filled up the water balloons! Let the fun begin! Water balloons and squirt guns along with a sprinkler made for a great party. After the water fun, we celebrated with homemade treats and a Blue Bunny Ice Cream Cake available at Walmart stores. Ice cream cakes are my absolute favorite, and this one was amazing! Not only did it taste great but the price was also perfect! For less than $9 I picked up this Blue Bunny (Bunny Tracks) Ice Cream Cake and used the $3/1 Blue Bunny printable coupon below! That is a steal! Check your Valpak for Blue Bunny coupons as well and remember, these coupons are only redeemable at Walmart. These ice cream cakes make every party a great party, they take the hassle out of planning and everyone loves them. Pick up a Blue Bunny Ice Cream Cake for your next party! Hot chocolate is my favorite. MY FAVORITE. I grew up with bad asthma and somewhere along the way I figured out if I would drink hot chocolate, my symptoms would calm down. Even thought I do not have asthma today, I still drink hot chocolate every single morning. On a rare occasion I will make homemade hot chocolate but for the most part, I use a Swiss Miss packet simply because I need to make it quickly and get all the kids out the door for school. I do have an amazing Hot Chocolate board on pinterest though filled with recipes including a recipe for slow cooker hot chocolate which sounds like a great addition to the Hot Chocolate Bar for a party. I do make my own homemade marshmallows on occasion though and those are flat out amazing. They’re perfect for hot chocolate, there’s a lot of powdered sugar though so I wouldn’t just take a bite of it, throw it in the hot chocolate and it will become foamy and delicious. That’s what makes this Hot Chocolate Bar so much fun, it’s completely customizable! Pour some hot chocolate mix in a bowl and gather up your favorite toppings like whip cream, caramel, mini chocolate chips, mints, marshmallows, anything you can think of! Isn’t it gorgeous? If you’re having a Christmas party at your house this year, be sure to pull out the Hot Chocolate Bar. It’s a hit with kids and adults too especially this adult! What is your favorite fun activity for toddlers? 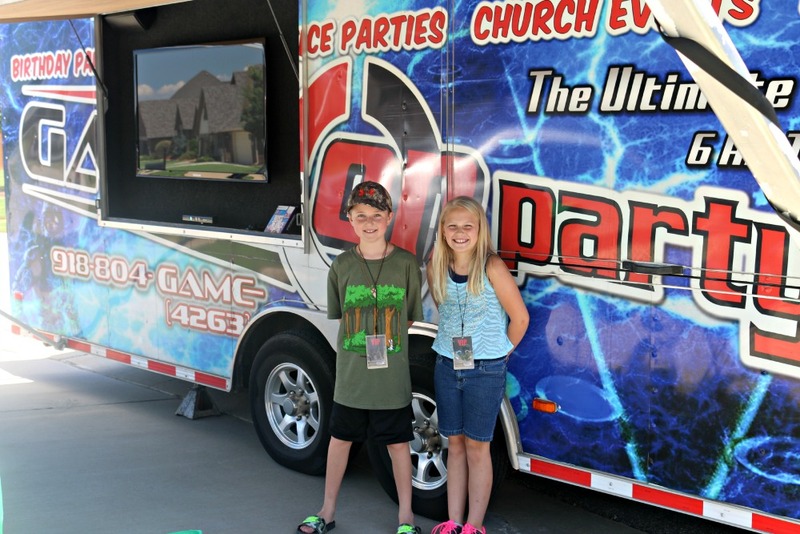 If you’re in the Tulsa area, check out Game on Party Truck! My son recently celebrated his 10th birthday and I was desperately looking for a unique birthday party experience. I felt like we had done it all until I was contacted by Game on Party Truck and quite honestly, it might be the coolest thing ever. Game On Party Truck is a video game truck which comes to your house, business, church etc for a full video game experience both for kids and adults. 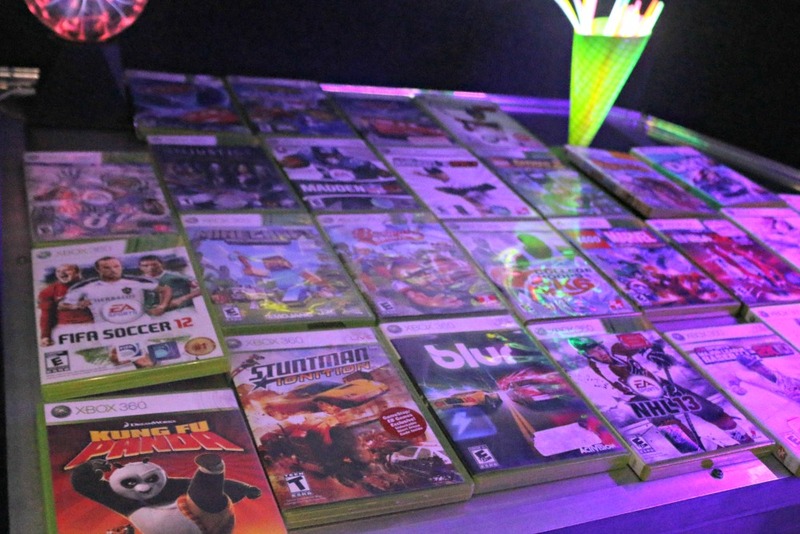 To book the party, I visited GameOnPartyTruck.com and found available times and dates. Once booked, I was able to choose the games my kids enjoy. 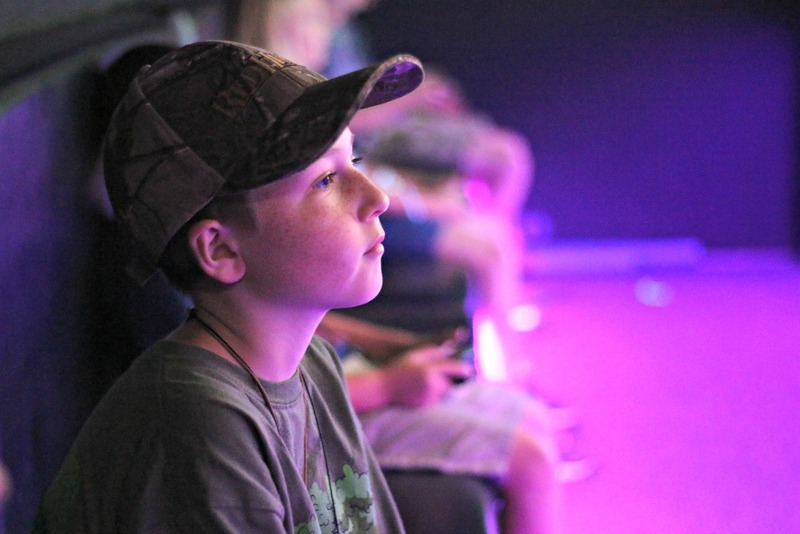 There are tons of games to choose from and since it’s your choice, you’ll feel comfortable just sitting back and letting the kids play! I promise, this is the easiest party you’ll ever plan, they even send you invites! 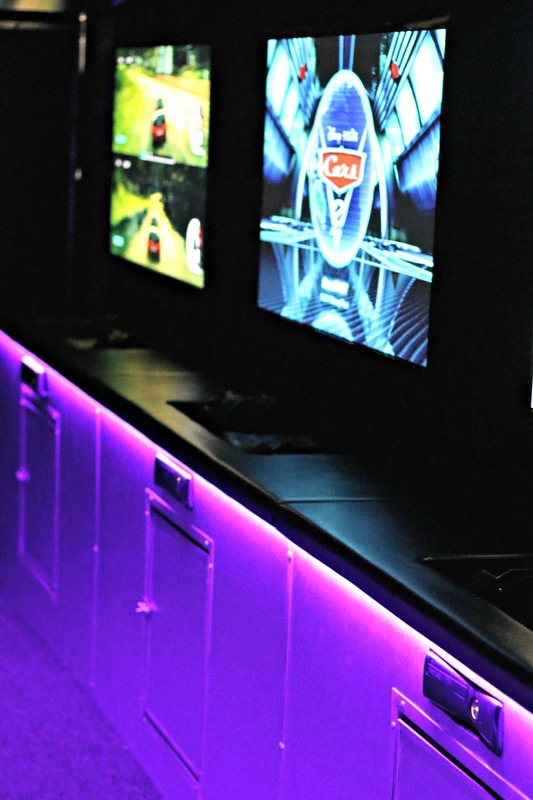 The game truck features four xbox 360 consoles inside and two more outside, easily accomodating up to 24 players depending on game selection. The folks with Game On Party Truck stay at the party with you to change the games, help the kiddos play, etc. No stress! My son is seriously concentrating in the picture above but, he loved it, had a blast and his friends and family did too. Honestly, if you’re looking for an easy party, this is it! We fell in love with Game On Party Truck and think you will too! Just for mentioning that you heard about them on Money Saving Queen, you’ll get $50 off your next party! Visit GameOnPartyTruck.com to get your party started!